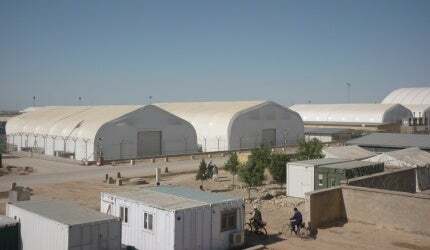 FCS Field Camp Services (FCS) offers a comprehensive range of materials and services to field camp operations. The company can provide the necessary equipment and then construct, operate and manage a camp on behalf of the customer. FCS reduces dependency on sub-contractors, as it has all of the required competencies in-house. The company’s primary objective is to support field operations across the mining industry, as well as the military, government agencies, aid organisations and partners in industry. FCS will provide the living and working conditions that enable staff to fulfill their tasks. Positive working environments reduce the hardships of operative deployment as much as is possible, whilst addressing the customer’s needs, which are the foremost factor for our services. The services available can be contracted individually, or as a complete package, according to the customer’s requirements. FCS is able to carry out all planning and preparation work for the customer’s camp, from site surveys and reconnaissance through to construction, provisioning and finally management and administration. FCS offers an end-to-end service for the construction and successful operation of mining field camps. Every aspect can be managed by the company, including detailed project planning, logistics solutions, transport links, charters and supply-chain management. Essential hardware such as tents, containers, modular constructions, halls, temporary housing and the construction of semi-permanent buildings, can be supplied. The success of any camp operation relies upon its ability to supply the consumables necessary for operations. FCS ensures that the procurement and delivery logistics for all fuel, spare equipment and provisions is considered in the project planning. FCS deconstructs and removes field camps that are no longer required and makes every effort to return the site to its original condition. Camp administration requires a complete service for a successfully-run operation. FCS considers all aspects, including the allocation of accommodation, maintenance, facility management and client interaction. The primary concern of any field camp is the provision of water. FCS has many years of experience in providing water treatment and the provision of potable water, including production and bottling. All of FCS’s waste water treatment plants include separation and disposal, for the removal of waste. FCS addresses the customer’s catering needs from procurement, delivery and storage of food to the employment of skilled chefs, catering assistants and servers. Comprehensive security solutions can be provided where the security and safety of staff is an issue. This may include personal protection, site security, dog handlers, explosive detection dogs, fire prevention, IDS, CCTV and training. FCS is proud of the personal and confidential service it delivers to clients, through solutions that ensure staff members feel at home when away from home. FCS was established as an integrator for services and goods to be provided or produced by its shareholders and associate partners. FCS represents the combined competence and capabilities of its parent companies, Losberger, ADCO International, Liesenfeld International and TBSG Versorgung & Logistik. Where necessary selected sub-contractors may also be utilised. Field Camp Services has been established as a system integrator for services and goods produced/provided by its shareholders, associate partners and when required by selected subcontractors.